In its general assembly seated at Frankfurt, the 65-nation, 76-organization International Publishers Association has confirmed Mexico’s Hugo Setzer and the UAE’s Bodour Al Qasimi to the new leadership cycle beginning January 1. 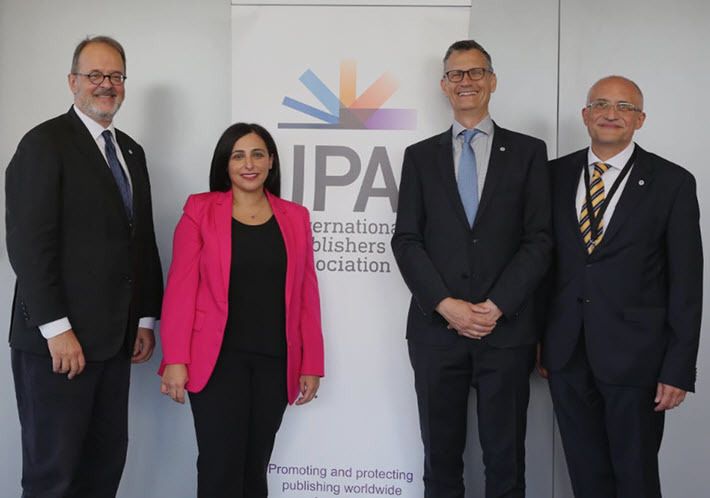 The International Publishers Association (IPA)—in its general assembly seated Thursday (October 11) in Germany during the organization’s traditional Frankfurter Buchmesse statutory sessions—conducted a series of leadership elections, timed to take effect on January 1. Chief among them were the confirmations of two well-known figures in the association, who had been nominated to become the organization’s new president and vice president. As expected, the current vice president, Hugo Setzer, CEO of Mexico City’s publishing house Manual Moderno, was confirmed to succeed the outgoing president, Amsterdam-based Michiel Kolman, a senior vice president with Elsevier. Read more about Setzer from Publishing Perspectives here. And the UAE’s Sheikha Bodour Al Qasimi of Sharjah—the publisher of children’s and young people’s literature who is CEO of the Kalimat Group and founder of the Emirates Publishers Association—was confirmed as the organization’s vice president. Read more about Bodour from Publishing Perspectives here. In a prepared statement, Kolman was quoted, saying, “The election of Hugo Setzer and Bodour Al Qasimi as president and vice president of the IPA is great news for the future of IPA. Kolman also touched on the gender representation in the organization’s helm, something that hasn’t been particularly well balanced for many years. The IPA has had only one female president in more than 50 years: Ana Maria Cabanellas, who was vice president and then president of the association between 2004 and 2008. “It’s important that IPA’s leaders will now be gender balanced and show off the diversity of our organization,” Kolman said. For his part, Setzer, said, “We work to make a better world by bringing the creations of countless authors to as many readers as possible. And Bodour said, “I have never been more hopeful about our industry than I am today and what can be achieve together with IPA member support tomorrow. “There are emerging industry issues that need to be addressed, freedom to publish injustices that deserve our collective attention, and publishers requiring our support to uphold their intellectual property rights. More elections were part of the IPA’s statutory meetings and conferences during Frankfurter Buchmesse, and we’ll be reporting on them in the days to come. 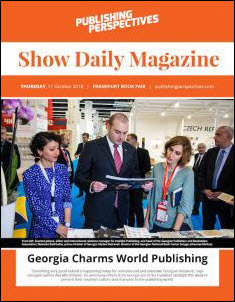 Of special note to Frankfurt trade visitors this week is the news that Gvantsa Jobava, international manager for Tbilisi’s Intelekti publishing and the publishing program director of the fair’s Georgia Guest of Honor program, has been elected, along with several others, to the IPA’s executive committee. Read more from Publishing Perspectives about Jobava here.